Apple has been one bruised and wormy stock lately. Shares have fallen for the past eight trading days and were up ever so slightly on Tuesday. Apple (AAPL) is down more than 12% since its losing streak began on April 21 and has coughed up its year-to-date gain in the process. Intel (INTC) is the only Dow stock that has done worse year-to-date. Apple's latest earnings were underwhelming -- iPhone sales fell from a year earlier. That's the first time that's ever happened. The iPhone 7 can't come soon enough for investors -- and the many consumers who apparently haven't upgraded in a while. And one of the company's biggest cheerleaders, activist investor Carl Icahn, has apparently had iNough of Apple. Icahn said on CNBC last week that he no longer has a stake in the company. His investment firm had owned nearly 46 million shares as of the end of December. But is the worst almost over? Apple's stock is now just 2% above the 52-week low it hit in late August -- the day that the Dow briefly plunged 1,000 points. Related: Another bear market for tech stocks? Shares trade for only 11 times earnings estimates for this fiscal year. The stock is even cheaper when you exclude the $232.9 billion in cash it has on its balance sheet. Wall Street analysts, unsurprisingly, are still optimistic. The average price target is just above $125, more than 30% higher than its current price. But Apple needs to be more than just a 21st century GE (GE) -- financially engineering its way to earnings growth with stock buybacks. So Icahn's sale may be a blessing in disguise. He had been mainly pushing Cook to boost the stock in the short-term as opposed to investing in research and development and other necessary initiatives that could take years to pay off for investors. Still, for Apple to hit Wall Street's lofty goals, it needs to soon release a new product (or products) that consumers really want. Fortunately, there is some hope for the Apple bulls. Apple CEO Tim Cook did his best Mrs. Doubtfire on CNBC Monday night, claiming that help is on the way! He hinted that upcoming versions of the iPhone will have some snazzy new features and that there are new products coming soon. "We are going to give you things that you can't live without that you just don't know you need today," Cook said. But the problem for investors is that Cook has yet to really prove to Wall Street that his Apple can actually come up with a truly revolutionary new product the way that the late Steve Jobs consistently did. The Apple Watch isn't cutting it. 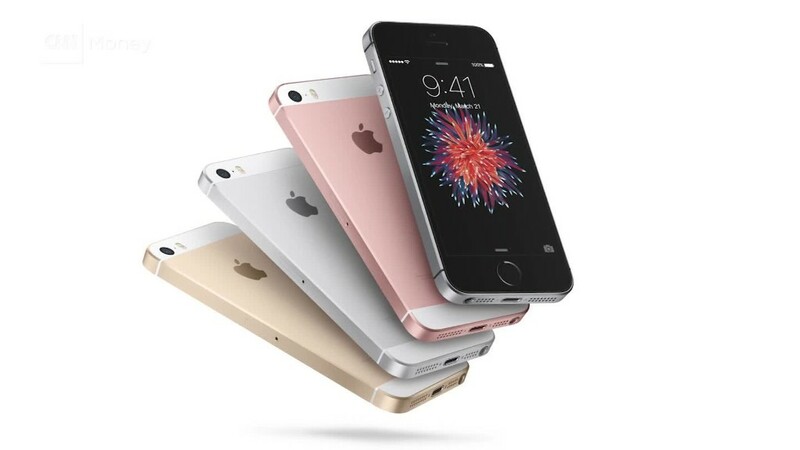 And is the reintroduction of a smaller iPhone something that should be considered innovation? In many respects, Cook is still trying to put his stamp on Apple -- even though he has been CEO since 2011. Cook was coy with CNBC on Monday, saying that Apple was "fairly secretive." "We don't talk about products that are in the road map. But I would tell you that we're incredibly excited about things we're working on. Incredibly excited," he said. But what are those products? A car? That's been a rumor for years -- along with occasional chatter that Apple should buy Tesla (TSLA). Of course, Apple has the financial muscle to pull off just about any acquisition it wants. But so far, it has chosen to make only small evolutionary deals. Its biggest purchase ever was the 2014 deal for Beats Electronics -- for only $3 billion. That's couch cushion money for Apple. So don't expect Apple to buy Tesla ... or Adobe (ADBE), GoPro (GPRO) or Box (BOX)as one analyst suggested late last year. Unfortunately for Wall Street, Apple has chosen to keep its product road map close to the vest. Until there is more clarity about future iThingies, Apple's stock could suffer. But history has shown that it might be a mistake to bet against it for the long haul.